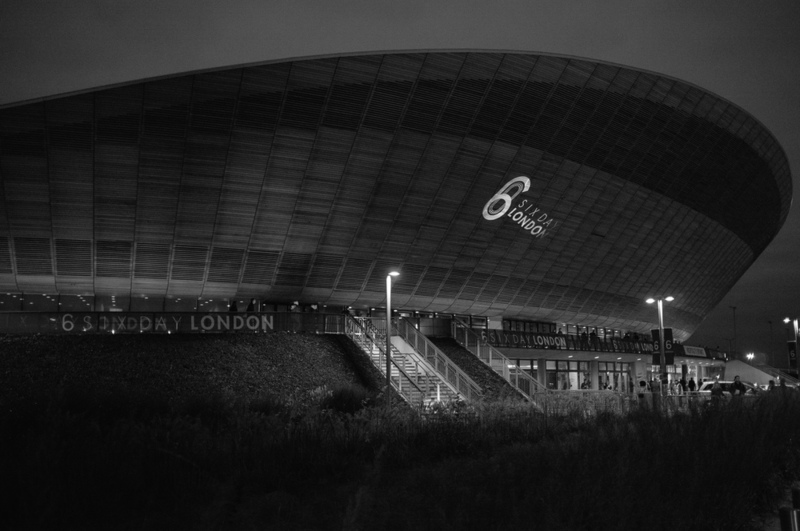 For the first time in 35 years the unusual, sometimes bonkers, faintly baffling but always thrilling Six Day cycle event took place at the Lee Valley Olympic Velodrome in London. The beautifully shaped arena clad it what looks like giant matchsticks from a distance was hiding one almighty party atmosphere as we headed in for the the last night of the event. An event which was born out of a bet in 1878 where David Stanton wagered that he could ride 1000 miles in six days...fast forward past the American jazz age where the event was further refined (and indeed gave the moniker to the 'Madison' as in 'Square Garden') up to present day, where the Six Day hosts a series of sprints and team events that range from the obscure to the down right bizarre. The night is like a fucked-up Ascot on uppers...Minisrty of Sound DJ Martin 2 Smoove blasts out a wide range of thumping music in time with the proceedings. 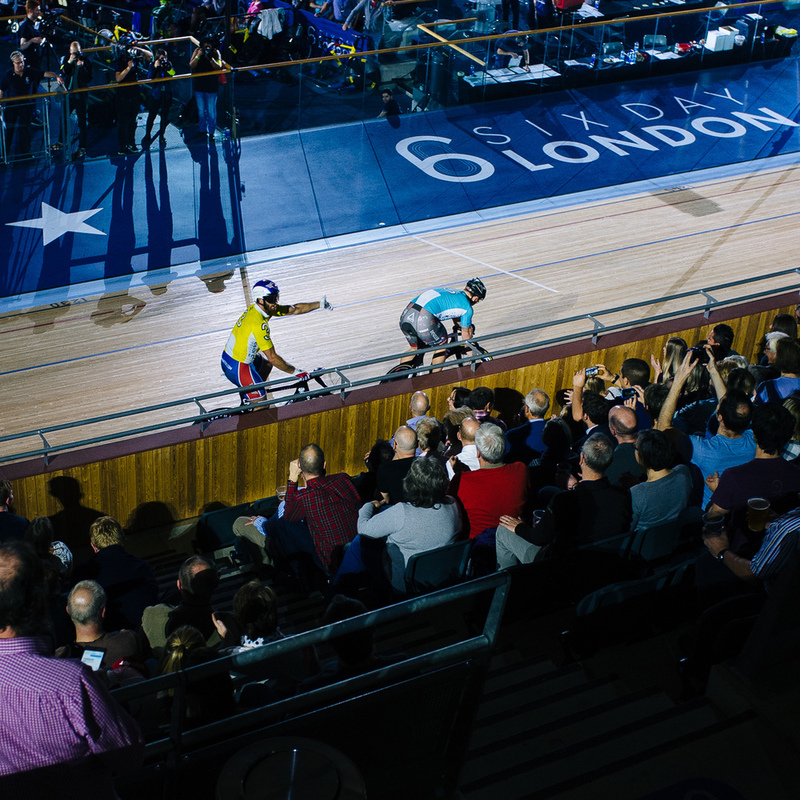 In between events the lighting dims and projections race around the track faster than any rider, leaving you wondering if you should cheer, dance or worry about leaving without at least getting one girls phone number. The final event was to decide the winners and the crowd were screaming as the GBR pairing of Chris Latham and Ollie Wood lost out by a whisker on the line, thrilling stuff and rounded off a great night.